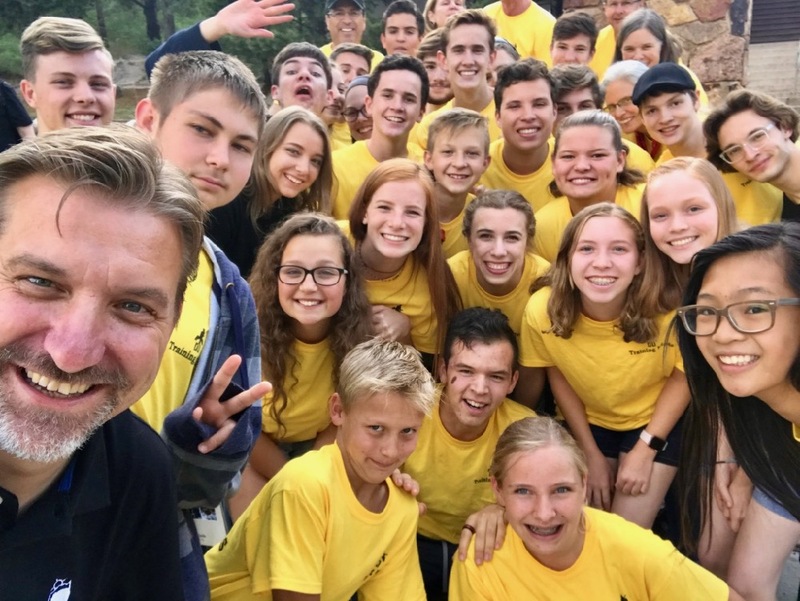 Pictured: Coach Jeub takes a selfie with the attendees of the Colorado camp in Larkpur. 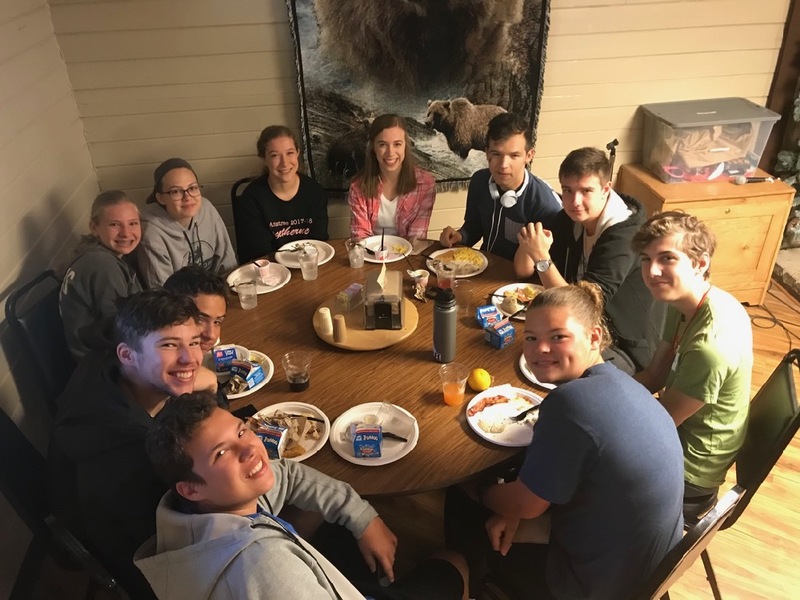 Team-policy and Lincoln-Douglas debaters from three different leagues gathered for intense training at the Ponderosa Ranch in Larkspur, Colorado. It was an intense and fun time of training. Check out the testimonies and pictures below! 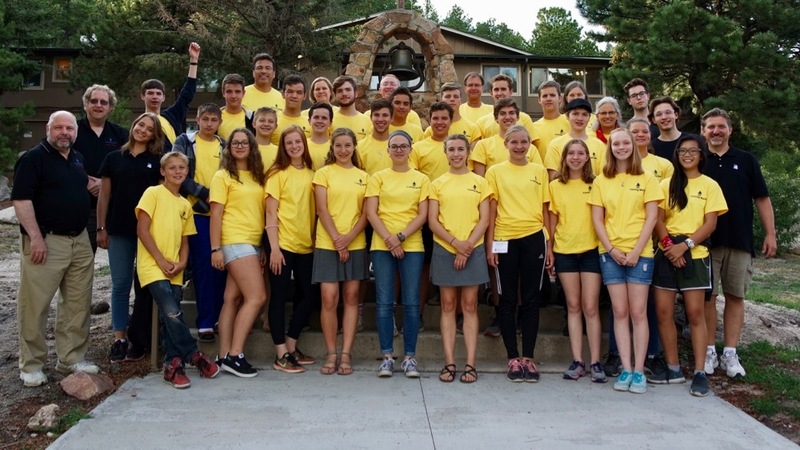 The Colorado Training Minds Debate Camp 2018 was such an amazing opportunity. 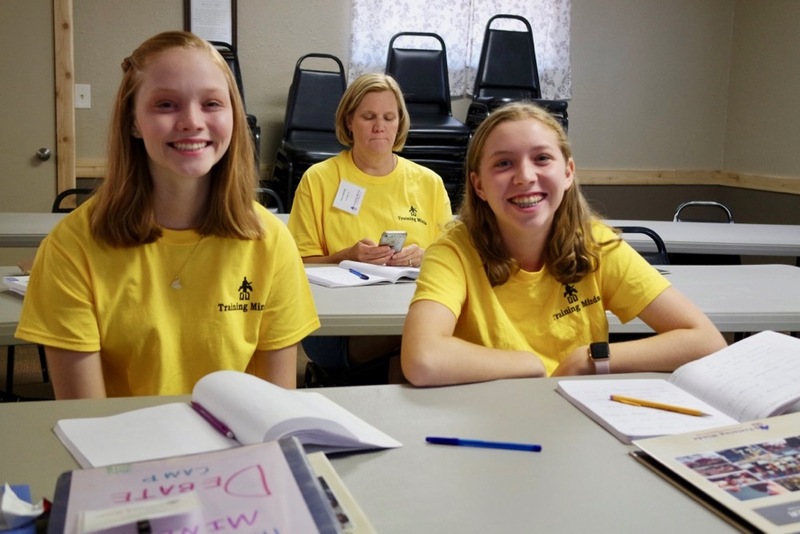 The coaches were practically perfect when it came to teaching, but also it was great to see the way that everything they did centered around Christ. 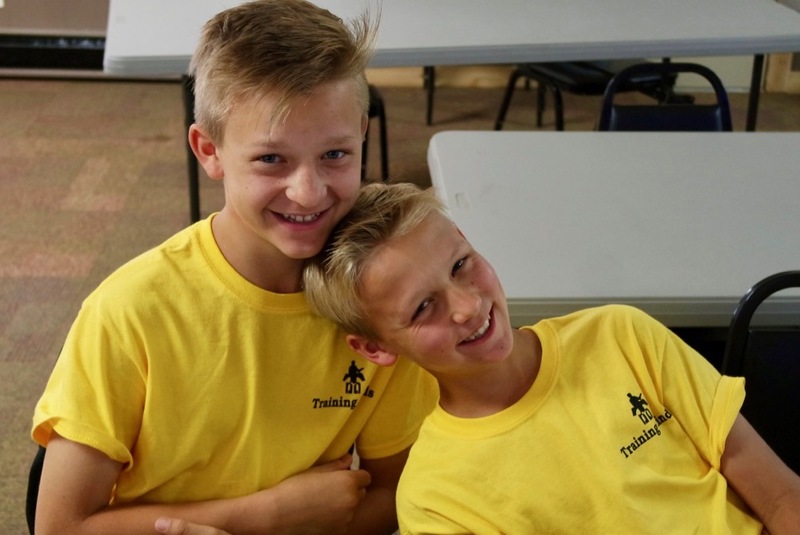 This camp builds character, debate skills, relationships, and techniques you won’t be able to find anywhere else! 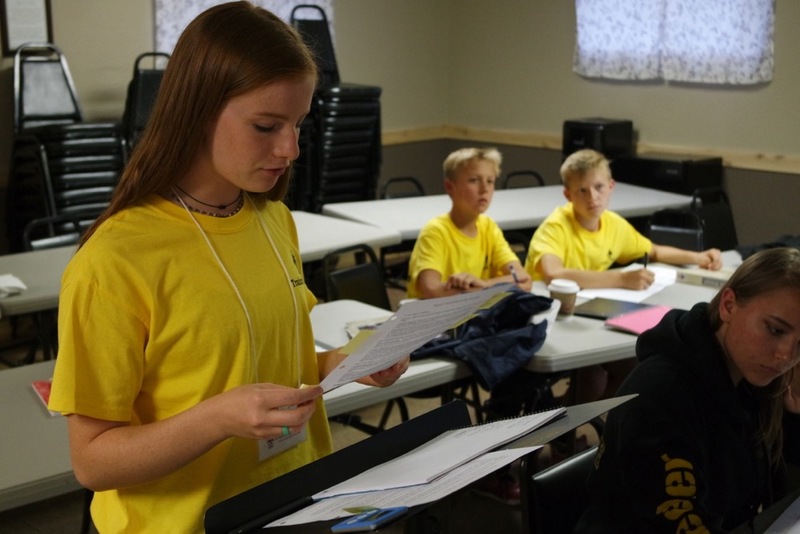 Training Minds summer debate camp is one of the best things a debater can do to give themselves a leg-up for the competition the upcoming year. 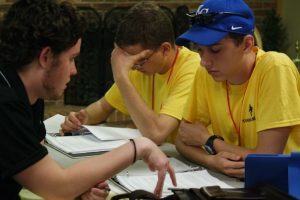 With 4 full non-stop days of learning, wonderful people, and intimate conversations with the best coaches in the nation, this camp will totally change the way younger debaters perceive the activity. I did it twice, and I absolutely recommend it to any student, no matter their experience level! Amazing instruction. <little pause for emphasis> AMAZING INSTRUCTION. 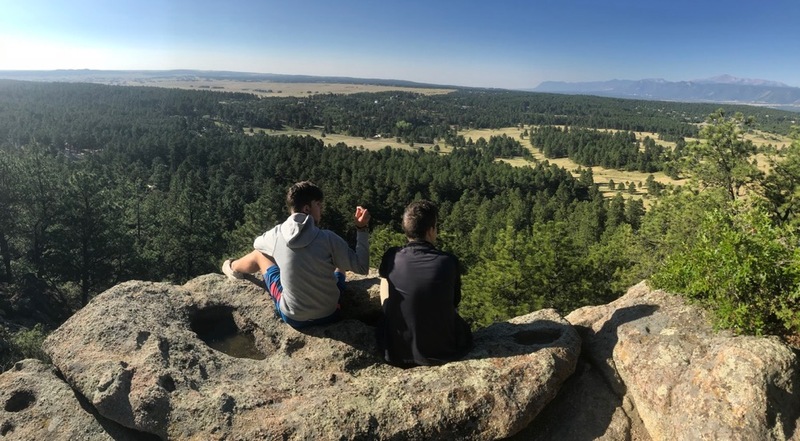 Sure, the scenery is lovely, the friends are fun, the facilities are great – but you’re at debate camp for the teaching, and this is the best. I got to meet and know Mr. Jeub at NITC and NITOC 2018. After he invited me to Training Minds camp, I knew that I would receive elite training like no other. 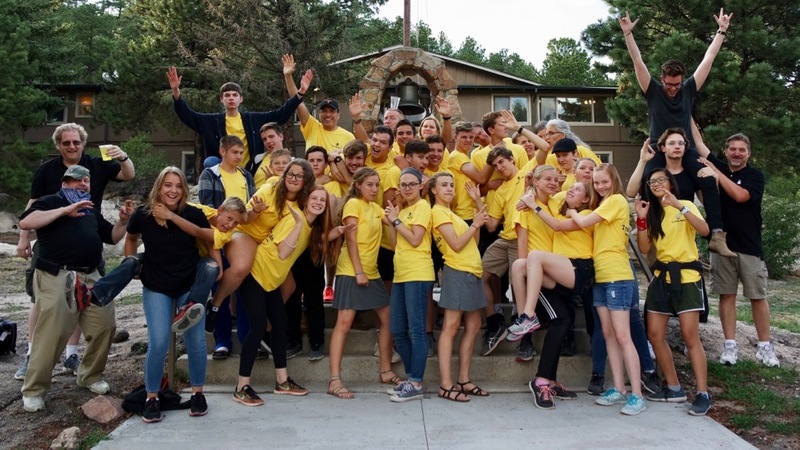 Being a Arionza original, it was a new yet exceptional experience at Training Minds camp in Colorado. I am very confident in the material and information that I learned there will turn anyone into a national contender! The Team Policy coaches were amazing. They were understanding and helpful to the novices. I learned a lot and will apply my new knowledge to the upcoming season. 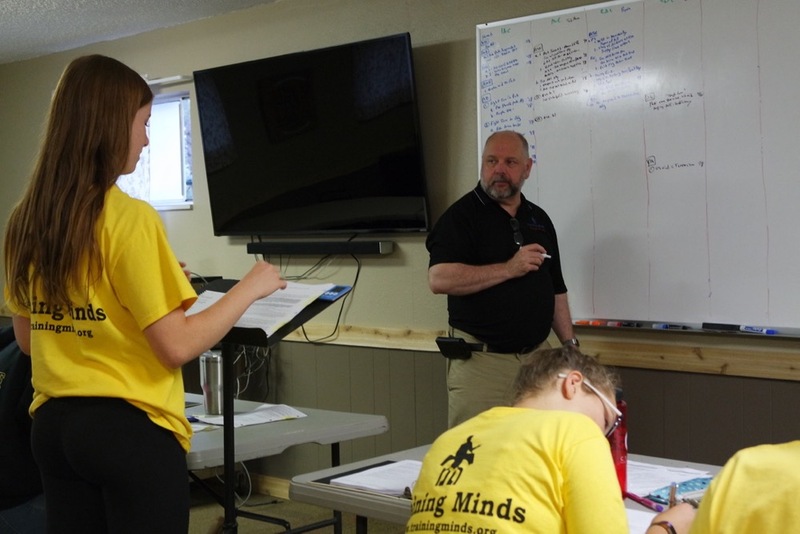 Training Minds provides an experience exclusive to the camp. Many debaters claim that all you have to do is work hard in order to succeed. However this is not the case. Hard work builds skill but you need more than skill to succeed. Training Minds gives you knowledge, strategy advice, and most importantly an understanding of what particularly you need to focus your attention towards. I learned a lot from the lectures and I also enjoyed the limited prep track. I will definitely use the SCORRE method in my future speeches. I learned a lot during the whole camp and I am very thankful for the experience. [My son] came back so energized! He was excited about the strategies he would be using in future debates. He likes to win and has worked hard last year to put his cases together, but frequently he would miss some cues in live debates….I love the Christian references and strong role models from the leaders. Attending this camp more than once was extremely useful as it really “layered” the learning. Having the focused attention by incredibly skilled coaches is uber-valuable and plants the seed for learning throughout the season. The students not only learn about debate strategies and content, but also enjoy messages of encouragement to strengthen them as individuals. The experience overall: beautiful surroundings, excellent teaching, new friends and motivating messages–Tremendous Time at Training Minds! Thank you!! 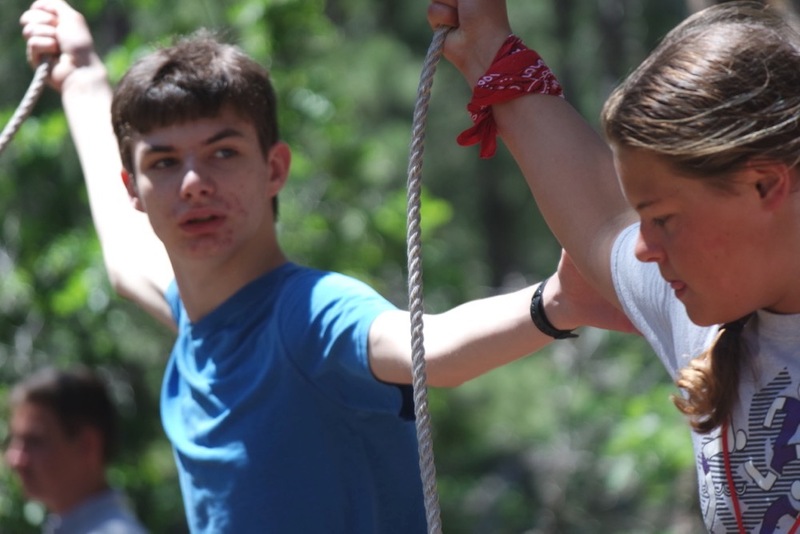 This camp was not only mentally stimulating but emotionally recharging. The competition season has a way of draining your bucket but this camp filled it up again to overflowing. 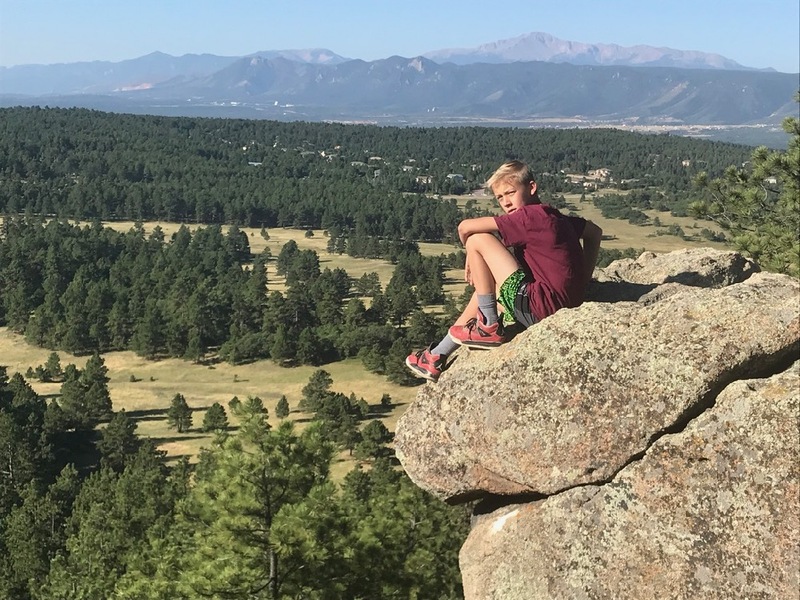 Joe is such a gifted coach and teacher and the connection he made with my son was rejuvenating and effective. I cannot express how grateful I am for the camp and for Joe and his honesty, skill and integrity. He sets the bar high, keeps things real, and provides encouragement along the way. He does not talk down to students but rather speaks to their hearts. The camp was just what my son needed and money well spent. 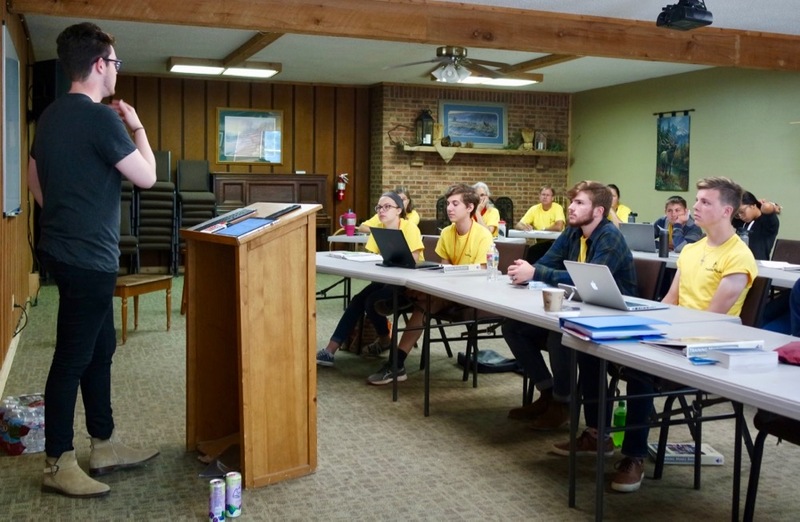 This camp is fantastic, and it has changed my debating career. 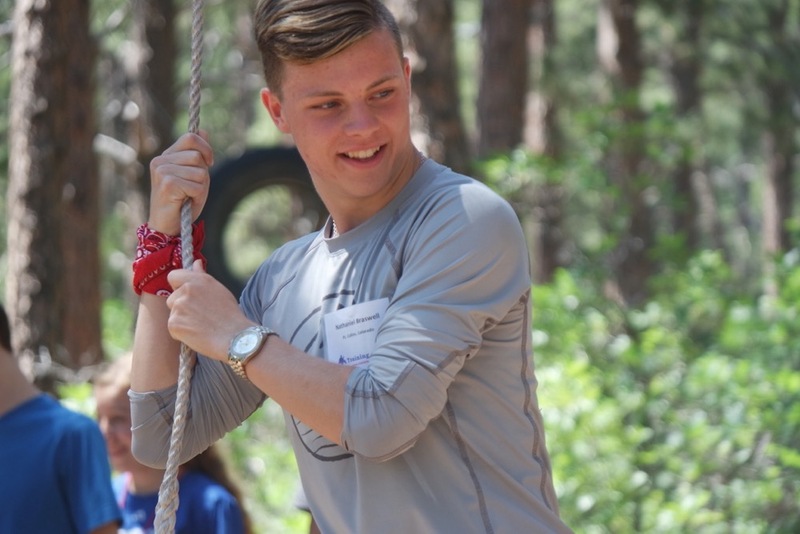 After my first two years of debate I was stuck, I just couldn’t get any better, and then I came to this camp. 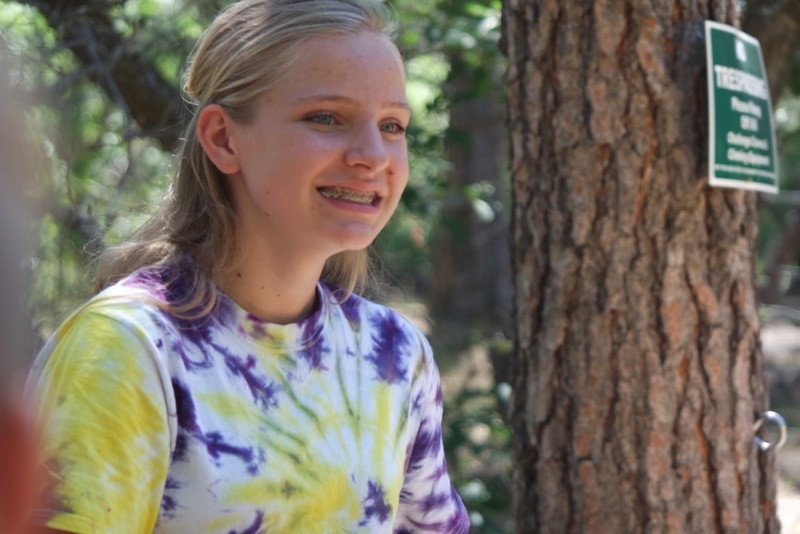 I learned things that I never even knew was possible my first camp. At my second I took huge leaps from the base that had been established by the first. And to top it all off, I met my debate coach at this camp. I hope to see you at the next one. Training Minds camp was one of the best experiences of my life. I love the people and I love the coaches so much. It is so helpful and i wouldn’t be as good at debate if I didn’t attend this year and this past year. I’m am so grateful for this opportunity of experience, it was amazing! Once again, this camp exceeded my expectations. This is the second year for me to attend Training Minds debate camp and it was amazing. I expected this year would be helpful as a refresher but it turned out to be much more as this year’s camp was a level above last year’s camp. Once again, the pace could not have been better. 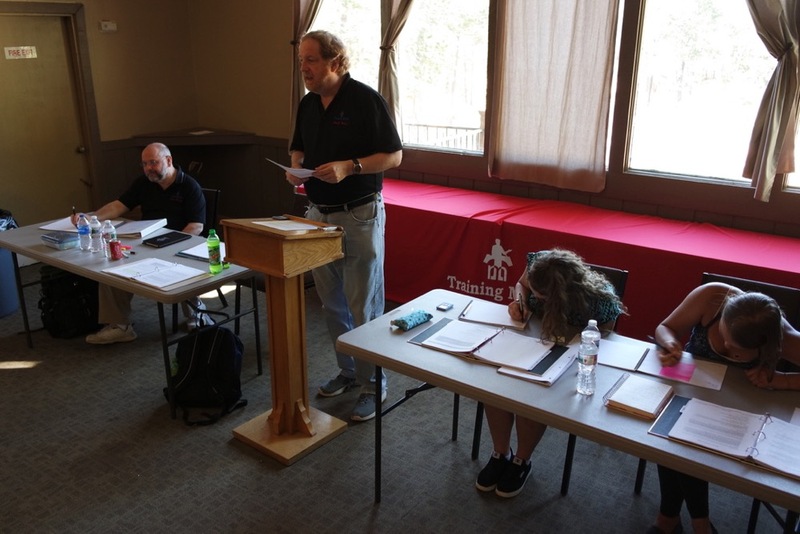 The coaches are preeminent experts on debate and communication skills and they provided new ideas and information through lectures, examples, and practice. 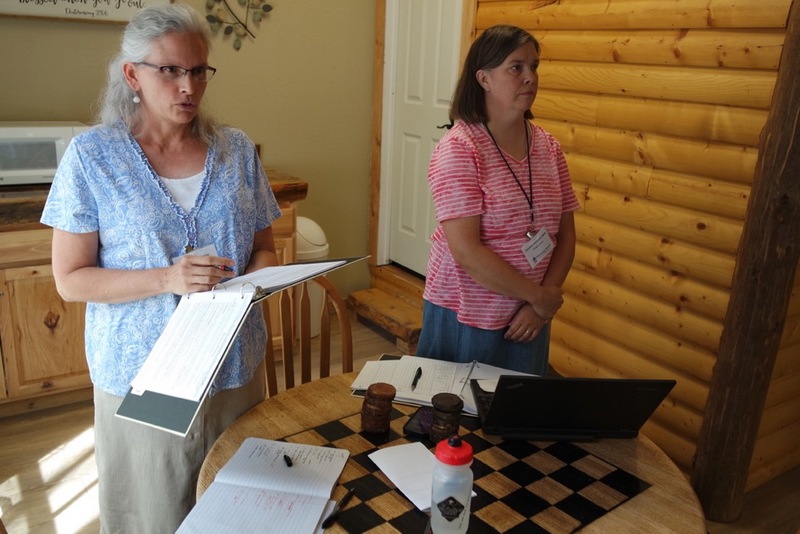 The sessions were taught with an atmosphere of encouragement and friendships were formed as we worked together. 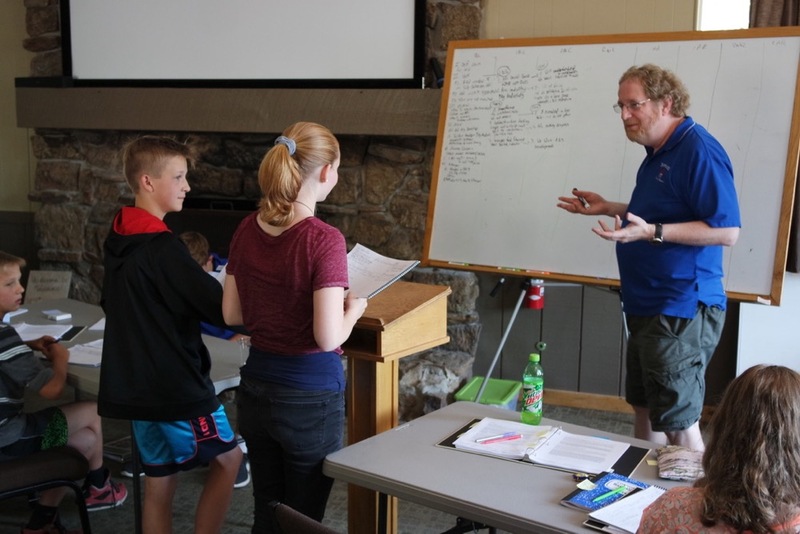 Training Minds debate camp is highly recommended for debaters of all skill levels from beginners to advanced. Thanks and great job! My children have learned much through Monument Publishing opportunities they have offered. What a difference! Joseph and Chris are mature communicators who practice what they preach. I was impressed with the quality of their lessons and the quality of their character. As a parent, it is refreshing to see such wonderful examples for the students who are just a few years younger. The added speech portion of camp was practical and I believe will transform the 2019 season. Again, eye-opening debate information helped me to grasp concepts that I didn’t quite understand. Glad to have been able to attend this camp. Our camps have trained champions since 2004. 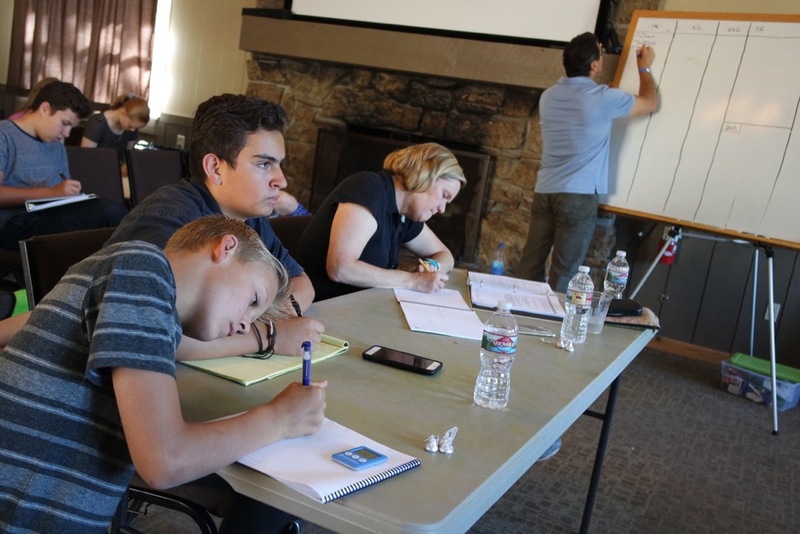 Every summer we bring students from across the country to Monument, Colorado, for a week’s worth of training for competition. 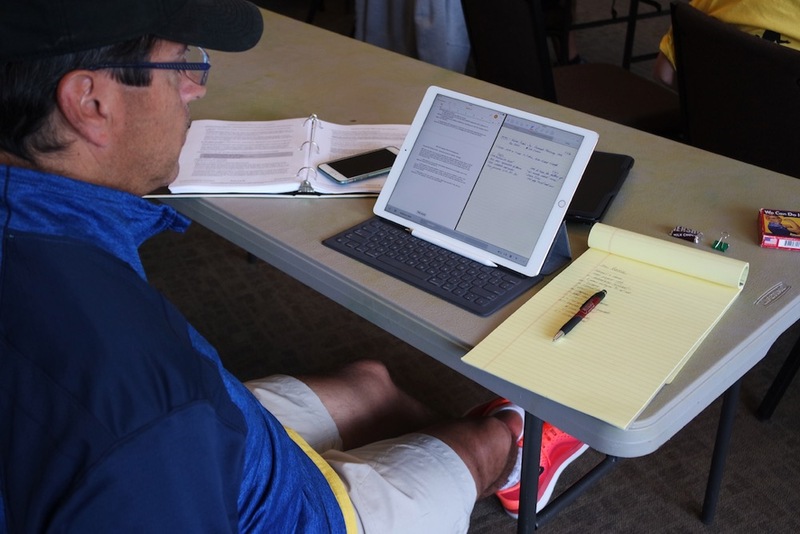 We teach debate and speech to specific leagues and resolutions, fine-tuning your preparation to help you make the best of the upcoming season. We hope you can join us! The following is taken from the registration page for Summer 2018. Policy Debate. 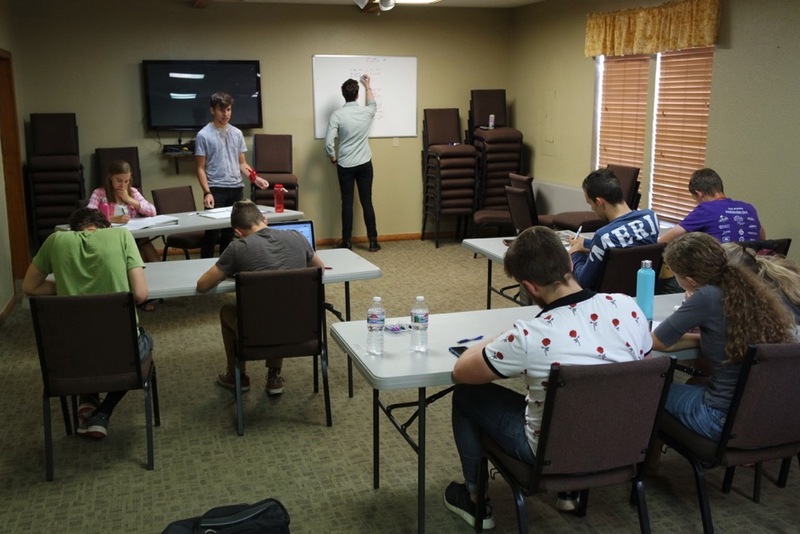 Policy debate is offered in NSDA, NCFCA and Stoa leagues. It is a 2-on-2 format of debate that argues a policy debate resolution. 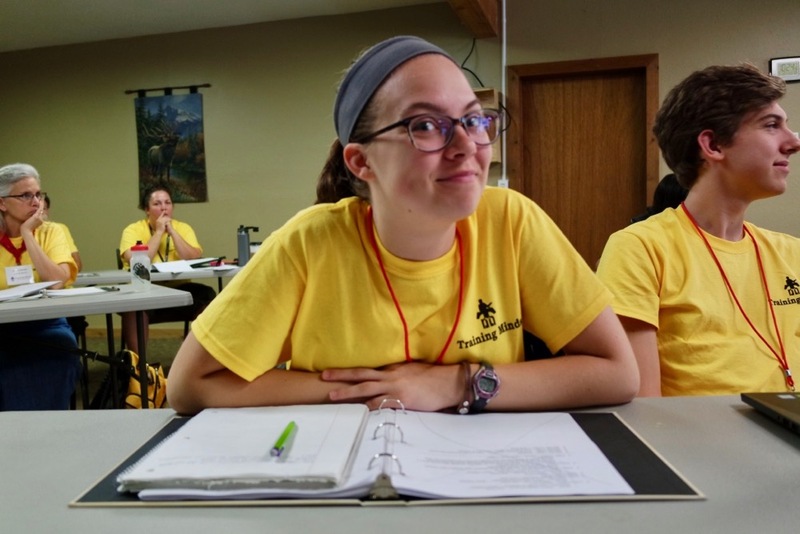 Unless students specify a partner, they will be matched with one during camp. The Stoa resolution will be used for scrimmages, but all leagues are welcome. Lincoln-Douglas Debate. 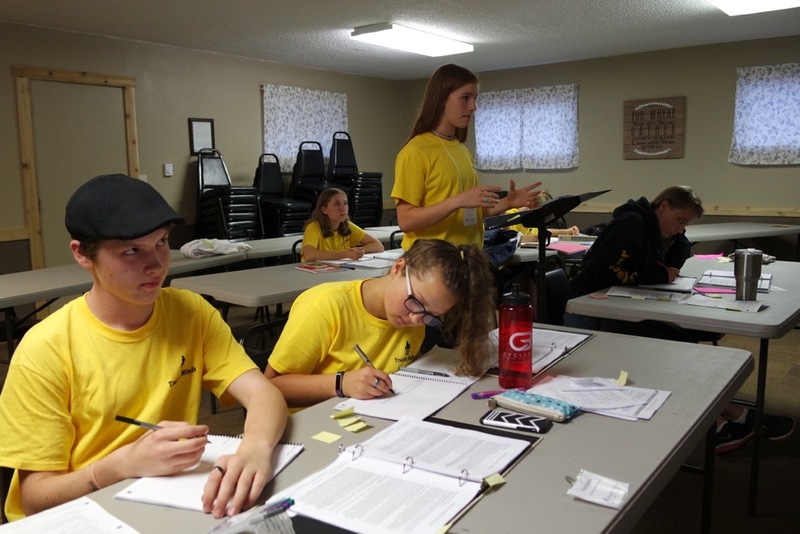 “LD” debate is offered in NSDA, NCFCA and Stoa leagues. It is a 1-on-1 format of debate that argues a value resolution. This format is named after the famous 19th century debates between Abraham Lincoln and Stephen Douglas. The Stoa resolution will be used for scrimmages, but all leagues are welcome. All debaters will learn elements of the structure and strategy of debating their particular format. Session examples include studying the league’s resolution, developing cases, rebuttals, cross-examination, stock/voting issues, and more. 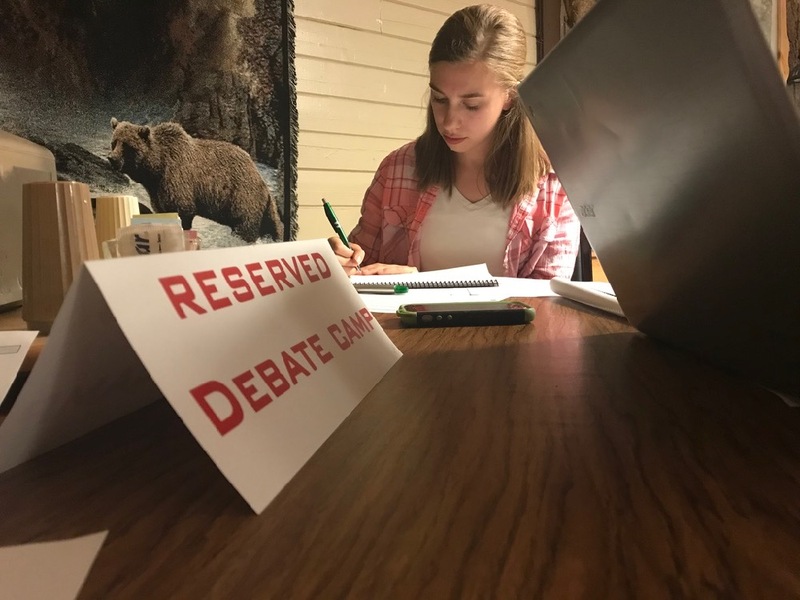 Debaters will be coached for at least one round by the camp coaches and be allowed at least one round during a “free for all” tournament-style round. Both novice and experienced tracks are offered (see below). 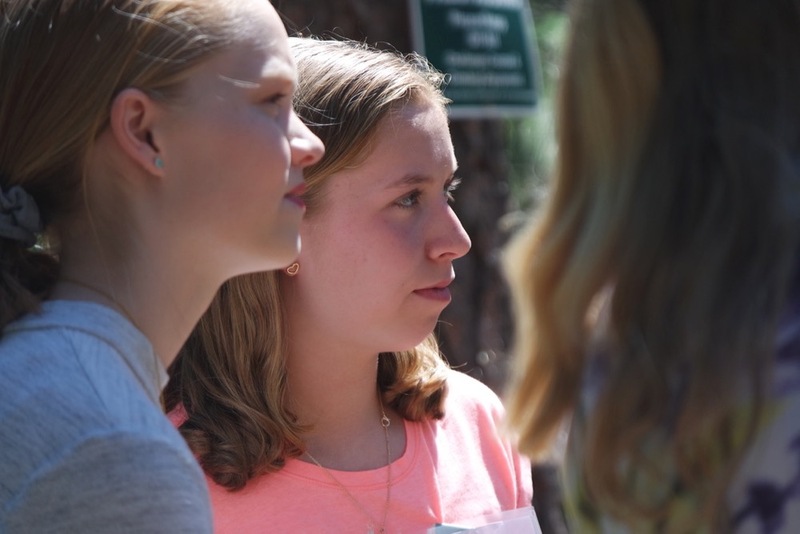 Three tracks of limited-prep events will be offered for campers to choose. All students will receive training from a certified SCORRE(R) Coach in the SCORRE Method of speaking. Sessions will train the competitor in the limited-prep event of their choice, and scrimmages will commence. Extemp. Extemp is offered in all three leagues. In competition, students are given 30 minutes to prepare a 7-minute speech. 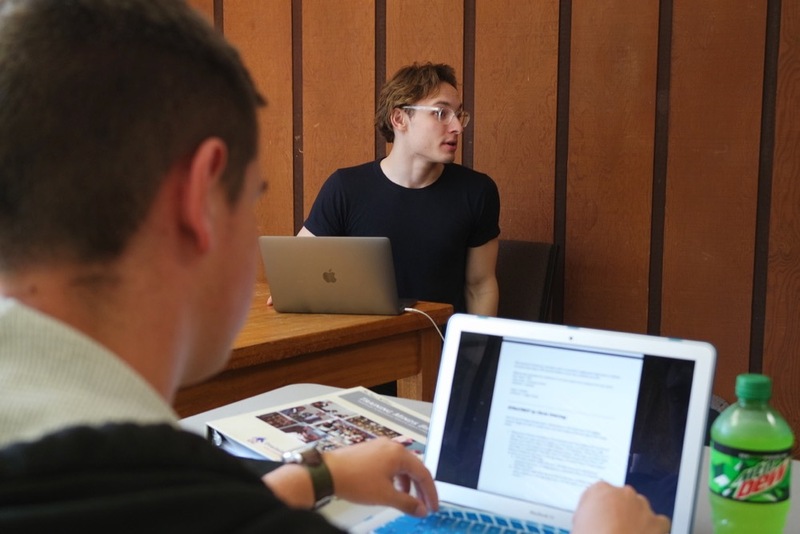 Students are expected to master current events and headline news. Apologetics. Extemp is offered in NCFCA and Stoa. 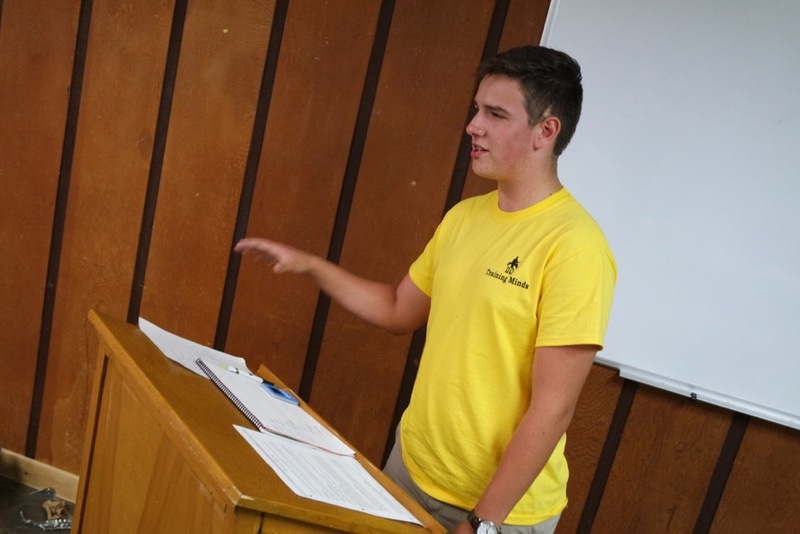 In competition, students are given 4 minutes to prepare a 6-minute speech. 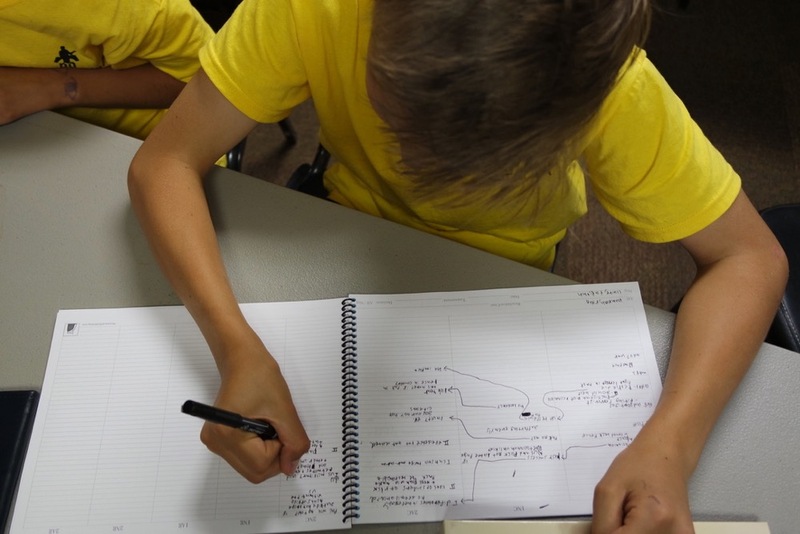 Students are expected to be well-versed in apologetics. Parli. Parliamentary debate is offered in NSDA and Stoa leagues. Teams are given 15 minutes to prepare for a 30-minute debate round. 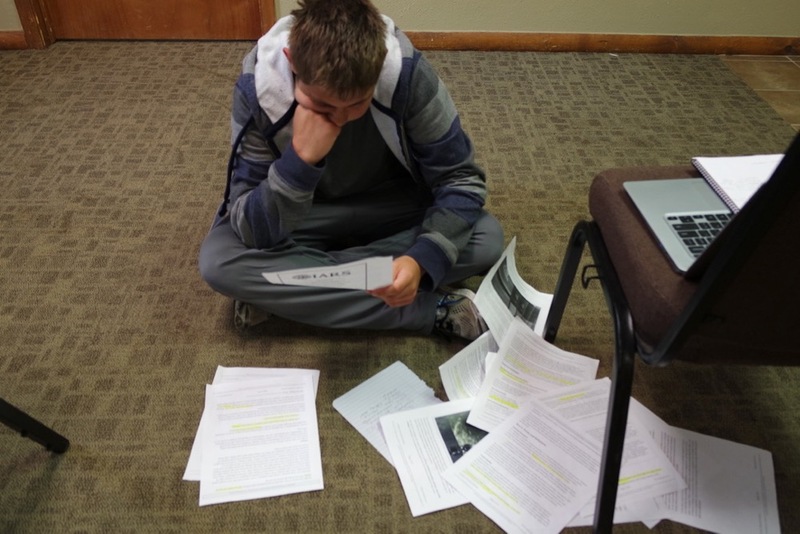 Parli is considered an advanced debate format because of its limited preparation time. 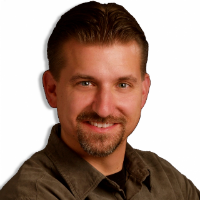 Training Minds President Chris Jeub will be teaching a special track for all registered parent/coaches. Mr. Jeub is the co-author of Blue Book for Policy Debate and Green Book for Public Forum Debate, and the sole author of Red Book for Lincoln-Douglas Debate. Parents and coaches will walk through the process for being certified from Monument Publishing. On a voluntary basis, attending coaches will have the opportunity to debate each other. 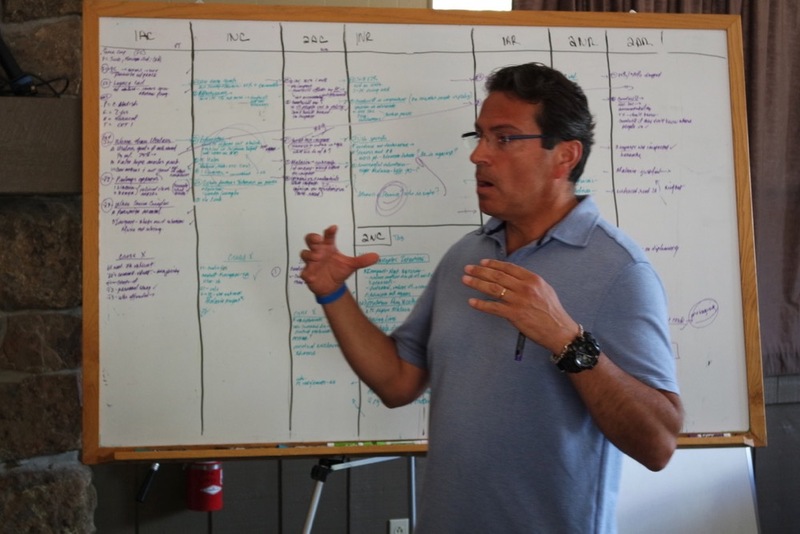 This is a signature feature of Training Minds Camp. Consider it a wonderful opportunity to “walk in the shoes” of the debaters and experience the debate first-hand! Understanding of the year’s resolution for your league. Identify and excel at the skills needed for each speech in a round. Delivery techniques that will make you a better speaker. Grasping the underlying stock issues of Policy debate. Grasping the underlying philosophies of Lincoln-Douglas debate. Preparing mentally and physically for tournament season. How to change the focus of any debate round to your advantage. The best ways to construct and refute policy and value arguments. How to use impacts to beat any application. How to make clear, persuasive warrants. 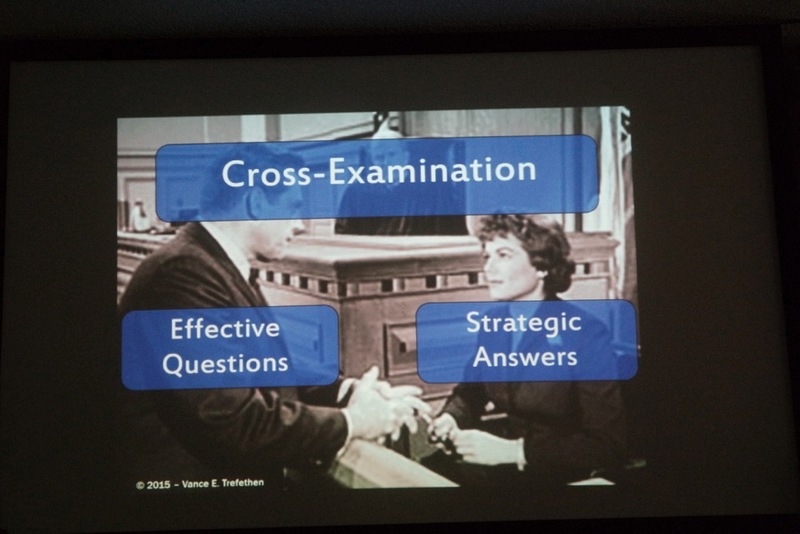 Deliver cross-examinations that keep the round in your favor. How to zero-in on the subject of your limited prep question. Narrowing your topic down to a simple criterion for your speech. Create and recite a specific objective statement to serve as a reference. Learn to develop rationale for your objective. Discover ways to add resources to your speech content. Master the skill of evaluating yourself and others. Beginners and advanced alike will find the Training Minds Debate Camp well worth the effort. There are three leagues that Training Minds and its sister publishing company, Monument Publishing, focuses on: NCFCA, Stoa and NSDA. The main purpose of the Training Minds Camp is to prepare students to compete in one of these three leagues. 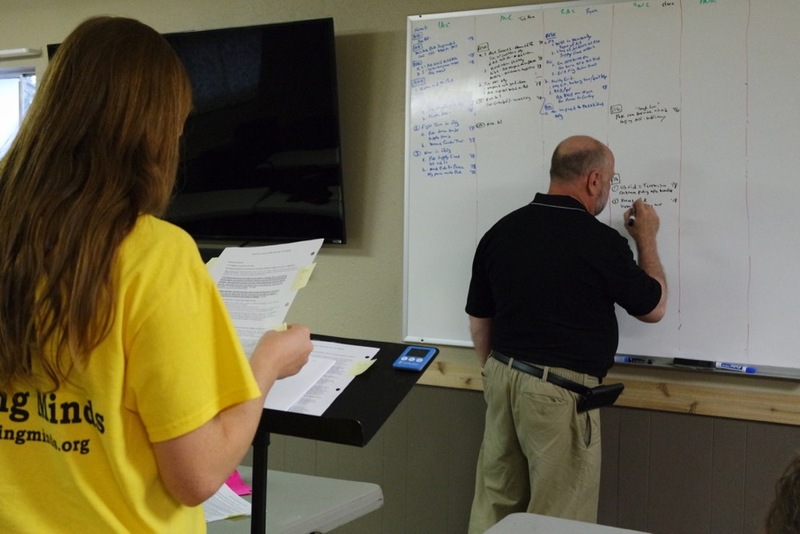 Specific classes for the NCFCA and Stoa resolutions for both tracks of debate will be given at the camp. For scrimmages, the Stoa debate resolutions for both policy and Lincoln-Douglas (released in May 2018) will be the resolutions we use. Resources will be provided for debaters to use, so no materials or prior knowledge is necessary for when you arrive. 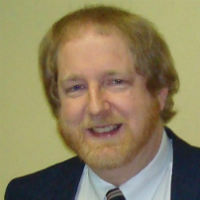 Vance Trefethen: Co-author to Blue Book for Policy Debate and main contributor to Monument Publishing’s Policy Membership. Vance authored Keys to Team-Policy Debate and is one of the most highly respected coaches in the world of Policy Debate. Coach Parks: Captain Parks served as an Air Force JAG officer for 5 years before starting his own private practice in North Carolina specializing in arguing criminal cases before appellate courts. During that time he appealed a half dozen cases to the US Supreme Court and regularly argued cases in front of the highest courts in our land. He also spent time as an adjunct professor teaching Torts, Criminal Law and Consumer Law at Wesley College and Trial Advocacy at Widener University School of Law. Chris Ostertag: a philosophy fellow at Grove City College, working on Economics, Literature, and Pre-Law minors. 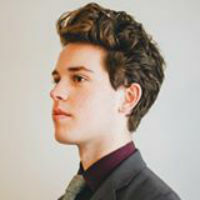 He is an accomplished Lincoln-Douglas debater who competed in the NCFCA from 2011 to 2016, accruing multiple regional- and national-level awards and accolades — including the unique honor of holding the highest at-large score in his region for three consecutive seasons. 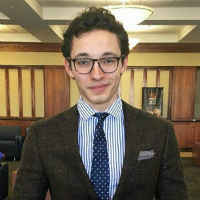 He competes on the college’s parliamentary debate team and secured a 1st-place speaking title at the 2017 National Christian College Forensics Invitational championship. Joseph Abell: Joseph was the NITOC Tournament Champion in 2015, and the NCFCA Sweepstakes Champion in 2016. Now he’s the coach of a college team in Dallas and dozens of competitors across Stoa and NCFCA. 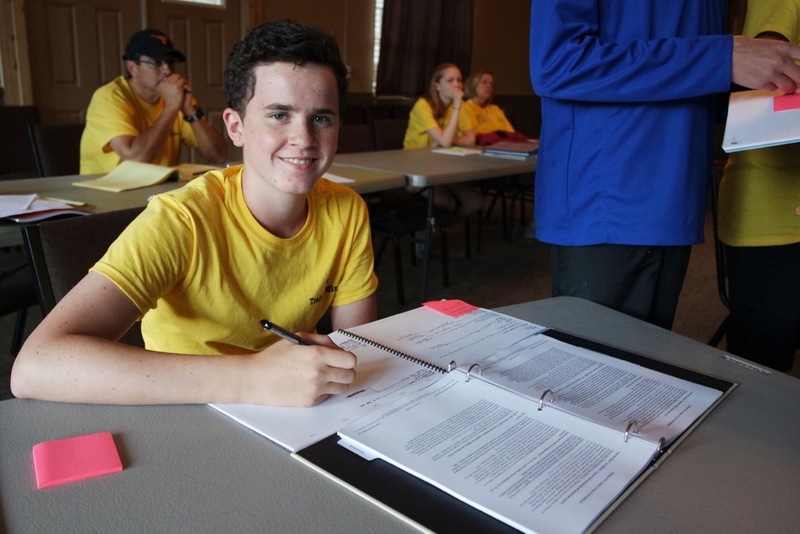 With an undying passion for the activity, Joseph plans to remain at the cutting edge of speech and debate for as long as possible. 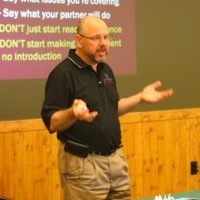 Chris Jeub: President of Training Minds and owner of Monument Publishing, writing the top cases and briefs for NCFCA and Stoa leagues since 1998. He operates his business and ministry not too far from where camp is located. He travels the country helping students compete with integrity and excellence, including his own children. Other coaches will be added as student body grows. An 8:1 ratio is guaranteed. A more detailed schedule will emailed to participants when we get closer to the event date. Tuesday, July 10. Check-in will open at 12:30 pm for students and coaches. 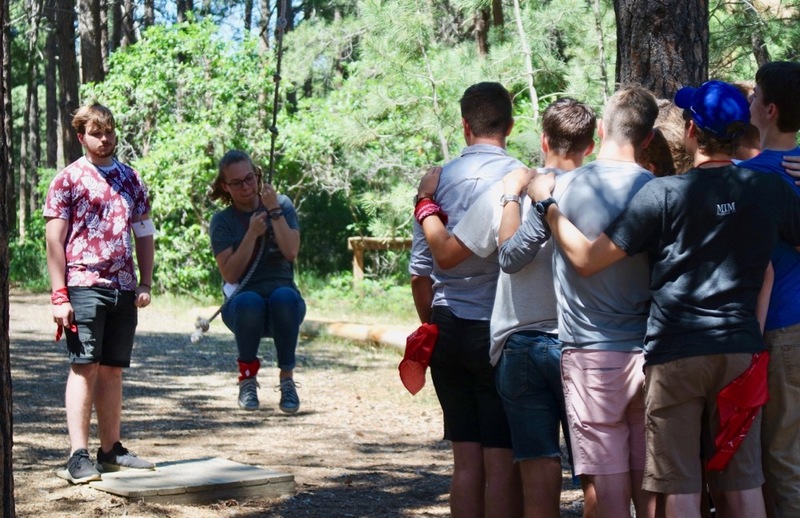 The program will start at 1:00 pm with a ropes course team-building exercise, followed by introduction to the limited-prep formats. Wednesday, July 11. Students will continue limited-prep teaching throughout the morning. A scrimmage will finish off the afternoon. The evening will consist of topic study for debate. Thursday, July 12. Debate sessions will continue through the day. Coached rounds will begin in the evening where more experienced debaters showcase rounds, the less experienced observing and flowing. Friday, July 13. Debate sessions and debate rounds will continue through the day. Students will continue coached rounds, some watching and some debating. A “grand finale” ends the day, where everyone debates the other side of the resolution from which they debated earlier. All parent/coach attendees will be judging this round. Lunch and dinner will be served, breakfast for those staying on campus. Saturday, July 14. A “final showdown” will commence in the morning, showcasing a round between the coaches and the top students of the camp. This is an open event that parents can come and watch. Camp adjourns immediately following with no lunch served.